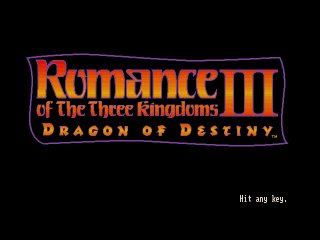 Romance of the Three Kingdom III: Dragon of Destiny was released in 1992 by Koei. 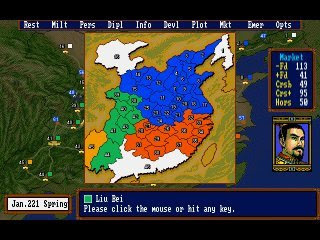 It is the third installment of the long running turn-based strategy game Romance of the Three Kingdom series. Romance of the Three Kingdom III follows the same formula of the previous installments. We start by choosing a scenario and the leader that we want to play. 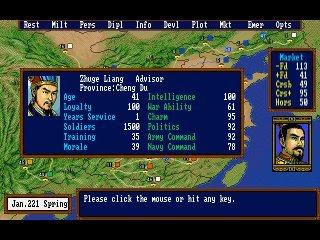 Of course, all the famous leaders are there, like Liu Bei, Cao Cao and Sun Quan. Compared to Romance of the Three Kingdom 2, the graphics has been hugely upgraded. The world map is no longer shown in top down colored territory view. Instead, the map is shown in a more realistic map with rectangle represent the cities while lines represent roads that connect the cities. 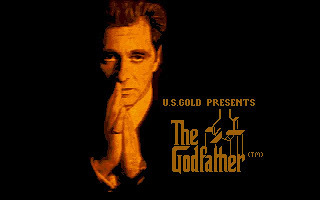 It is a bit confusing at the beginning, but we will get used to it after we play the game for a short while. There is still an option for us to view the territories is color mode, but it is only meant for viewing, we cannot play using this view. 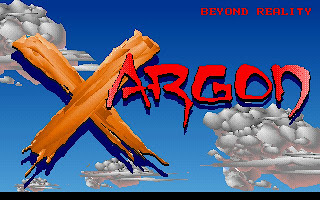 As Romance of the Three Kingdom III uses 640x480 16-color VGA mode instead of 16-color EGA mode, the graphics improvement is obvious. 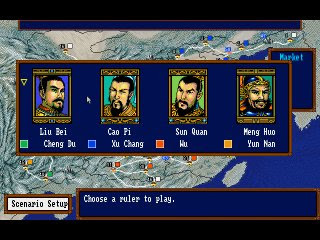 Although Koei is famous for bringing 16-color graphics to life, but somehow the graphics of ROTK III is not as good as their other games like Genghis Khan II. 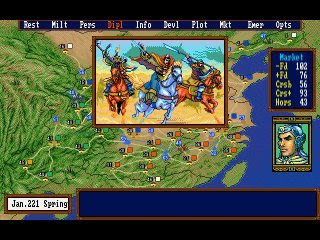 The battle system of ROTK III is also quite different from ROTK II. 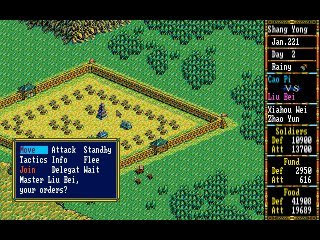 The battle mode is now shown in 3D isometric view, rather than the 2D view of ROTK II. 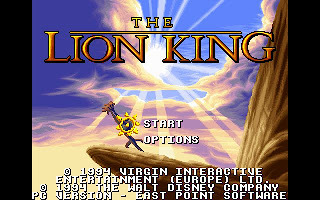 Romance of the Three Kingdom III is not a simple game. You must invest time to learn all aspects of the game before you can appreciate the depth of the game. 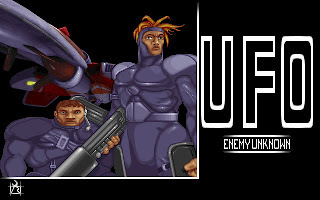 I've included the manual in the download, hope it might help in your conquest. You can download Romance of the Three Kingdom III: Dragon of Destiny here.